2x10 Bass Guitar Cabinet with Horn Model # MB 210 , Woofers: two 10" each with a 50 ounce magnet with a 2" kapton voice coil , 200 Watts RMS 400 Watts Peak , Wired at 8 ohms , Includes 4" Compression Horn/Tweeter with one "throat., Volume Control for the Horn, 40Hz 5KHz , Sensitivity: 98 db , 5/8 plywood front panel , Tolex with black metal corners , Recessed metal handles , Full Metal Grill , Jack Plate with two 1/4" and two Speakon jack inputs, Can be Daisy Chained, Vented, 17"tall 23" wide 16" deep , 63 pounds per cabinet, This speaker is brand new., One year warranty. This listing is for one of these 210 speaker cabinets. 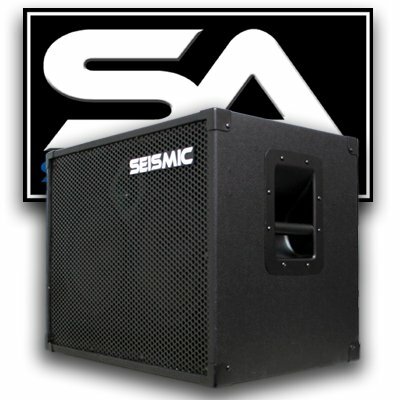 You will receive one speaker cabinet, pictured and described above. This cabinet is designed for bass guitar use. Hazmat Item. Non-Returnable. Can be Daisy Chained; 19" tall -26" wide -15" deep. Hazmat Item. Non-Returnable.